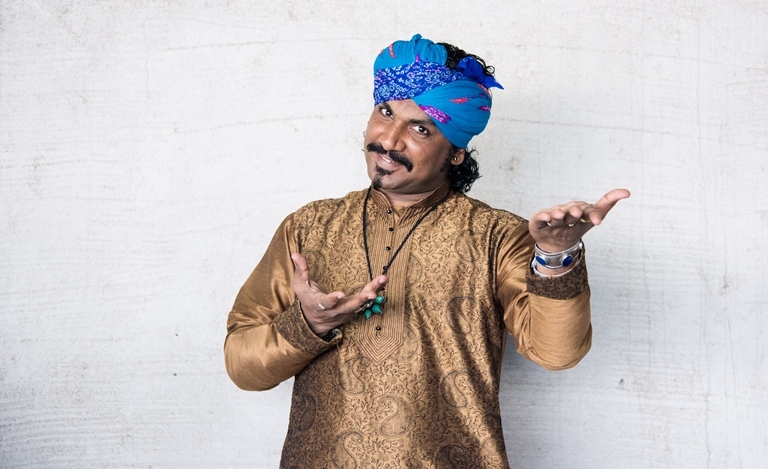 His music is deeply entrenched in Rajasthani folk but he is willing to experiment with different genres and even sing for Bollywood. In this exclusive interview, singer, musician and multi-instrumentalist Kutle Khan talks about the unique thing about Rajasthani folk music, his new project ‘Sounds From The Desert’, the kind of music he likes listening to and Bollywood plans. Your music is heavily inspired from Rajasthan, the land you come from. What is the most unique thing about Rajasthani folk music? Rajasthani music encompasses a flavour from different parts of Rajasthan and each area has its own sound and specialization. There is so much natural talent and these singers and musicians and dancers, though not formally trained, are carrying the traditional music forward. They have become world class musicians only because of their discipline of practice and hard work. This is what really stands out about Rajasthani folk music. Please share something about your new project Sounds From The Desert. The concept to showcase some master folk musicians/instrumentalists of Manganiyar community along with me developed my deep interest for this show. I grew up seeing them perform and learned many things from them but we never shared the stage together. So when ShowCase Events asked me to bring the true sounds from the desert and share it with the country, I lapped it up. I am extremely excited to share the sound of my state Rajasthan with ‘Sounds From The Desert’ . Nanni Singh, the founder of Showcase events is like family and when she asked me to do this I was very happy. I do not get a chance to work with so many Rajasthani instruments in my regular shows. This show is a great platform to spread the music and carry forward the true legacy of Rajasthani folk. What is the kind of music you like listening to apart from folk? Rajasthani folk music has been and is a part of my life. I do like listening to other artists from other genres and incorporating some good points from them in my shows. I enjoy Sufi music. But I am a pure folk musician at heart. What do you think about the current scenario in Hindi film music? The current scenario of Bollywood music is very mixed. There is no doubt that there is some very good music coming in but a lot of cannot be even classified as music. Much of the content is mediocre and there is no essence of what music is all about. Would you like to compose for Bollywood films? I am primarily a singer, and will be happy to share my music and voice for Bollywood films. Can you share something about your forthcoming projects? There are many upcoming projects in the pipeline. I wish to create new music with new concepts. Alongside, I have been recording for my first album to be released soon. Many songs in the album are written and composed by me. I am also focusing more on arranging music and production along with our live shows. There are some new ones coming up even with ShowCase Events, about which we will share as go along. This year will see a lot of very good music coming out.